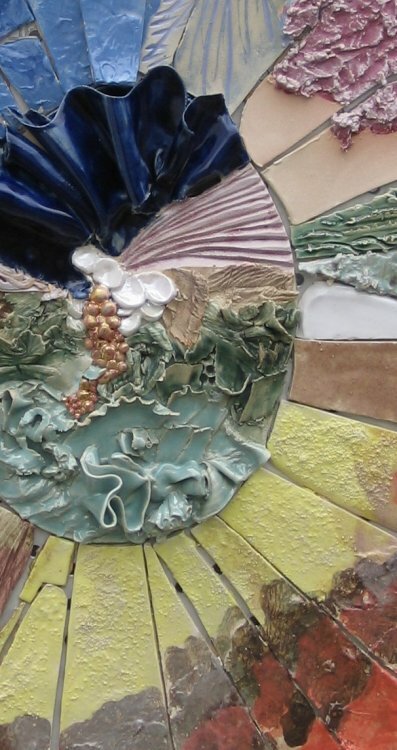 This is where we show you what's new, experimental pieces and pieces that don't really belong on the other pages! 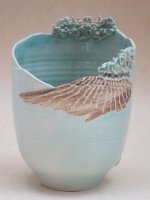 Click on the photos for larger versions. 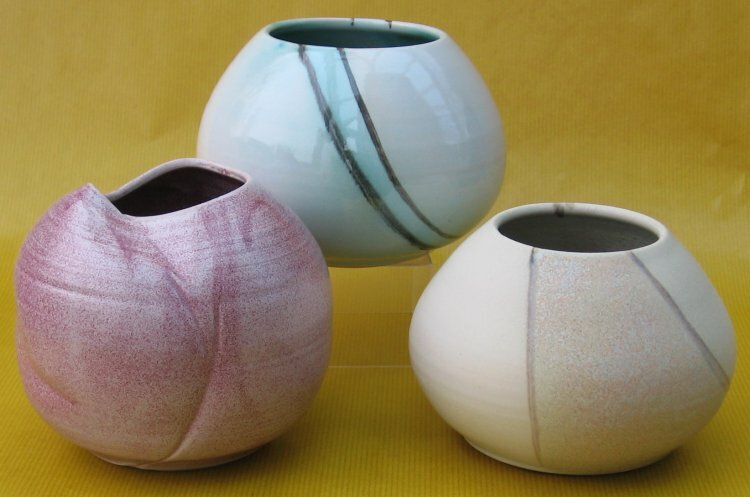 There are some lovely Ikebana-style vases, from the collection recently showcased at Obsidian Art's 'Inspired by the Orient' exhibition. Ikebana is the Japanese art of flower arrangement, according to laws and principles evolved over its long history. 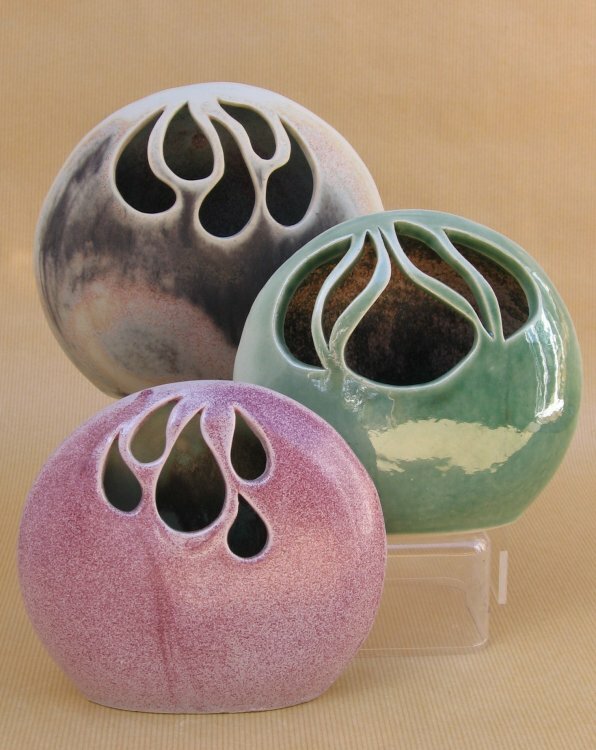 In arranging flowers and branches, the individual shape, form and scent of the various components all influence the design of the finished arrangement. 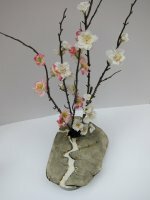 ikebana becomes an art form, a therapy and a meditation. 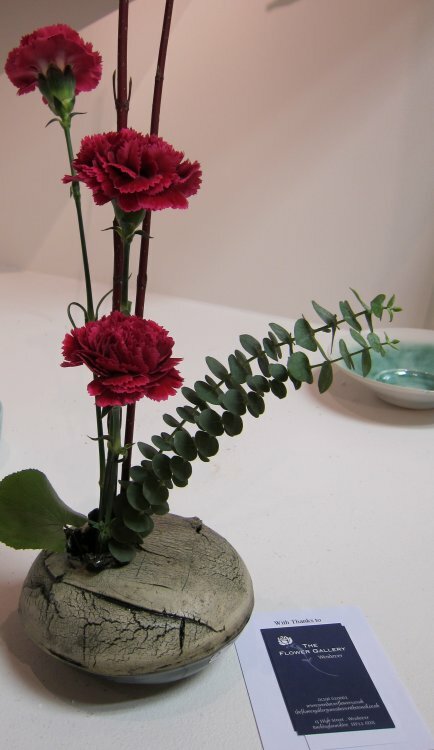 Whereas in traditional Ikebana a pin pad is used to secuire the individual stems and stalks in a variety of containers, my interpretation of this ancient artform has a built-in stem-holder permanently fired in place inside the pot. 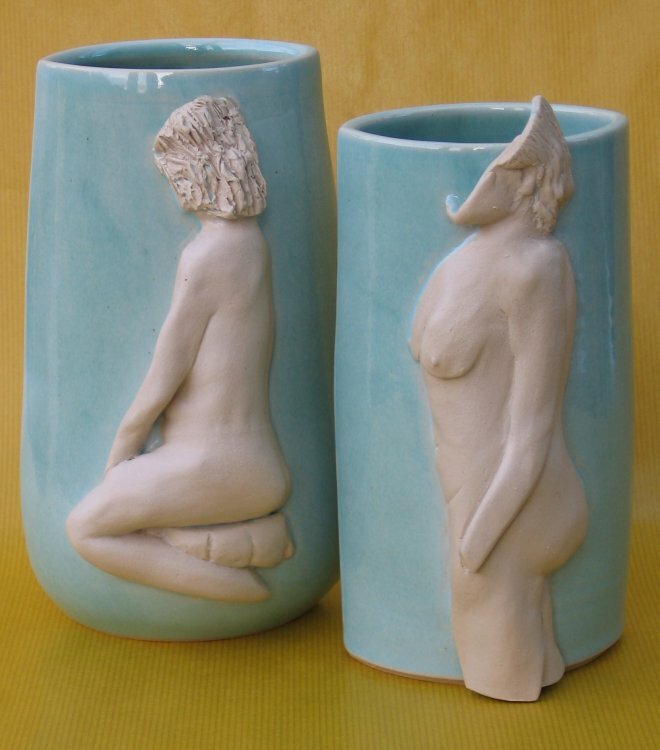 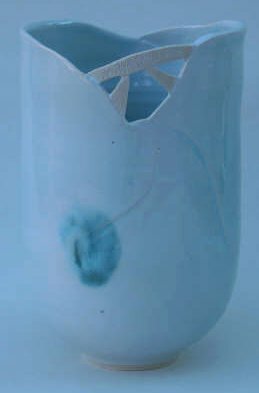 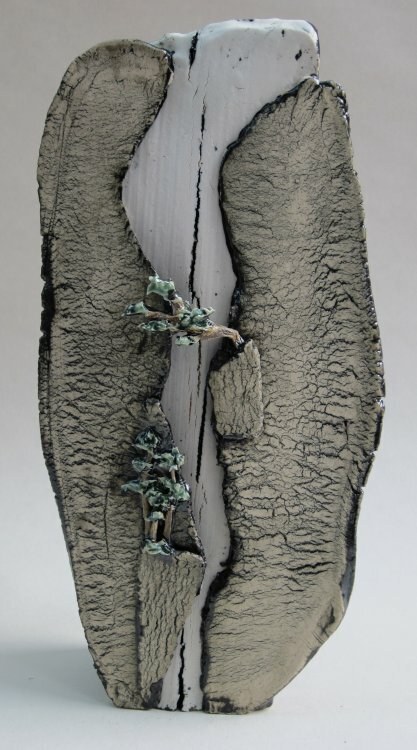 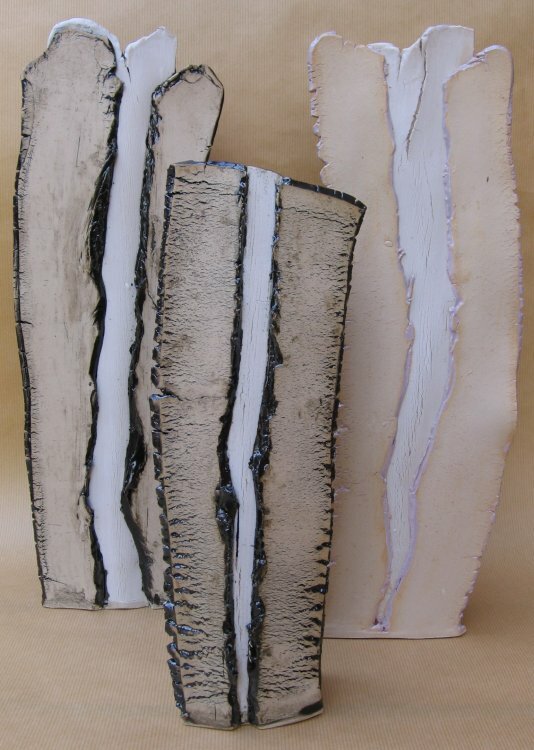 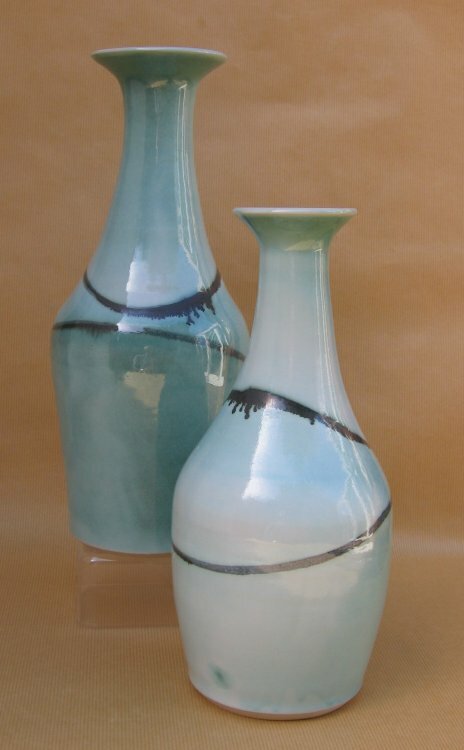 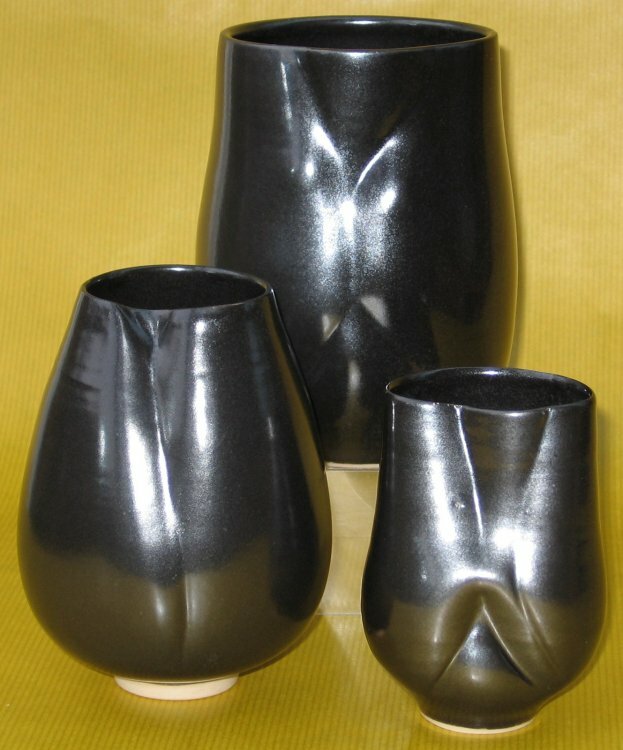 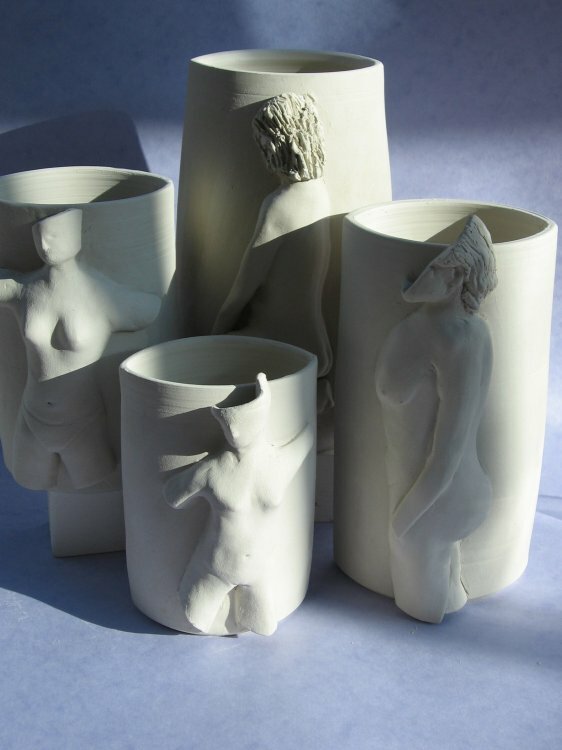 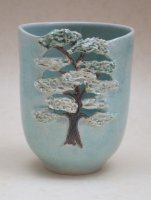 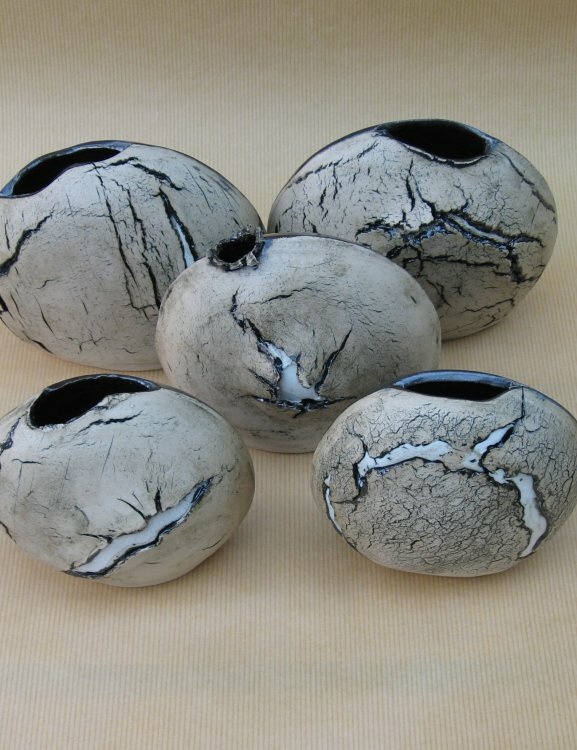 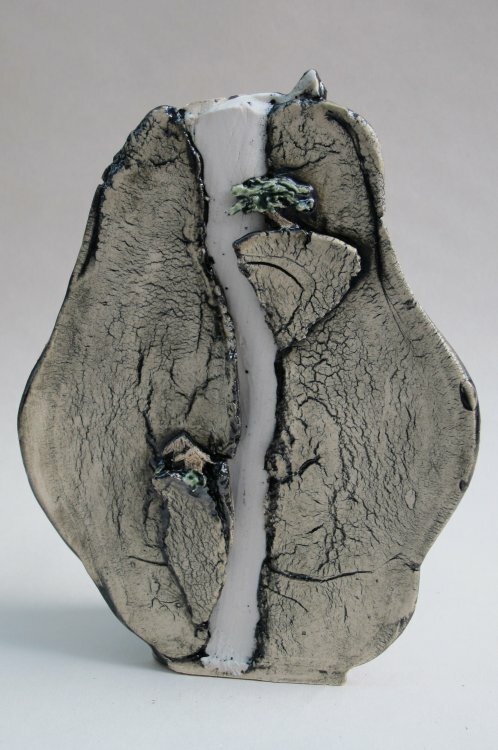 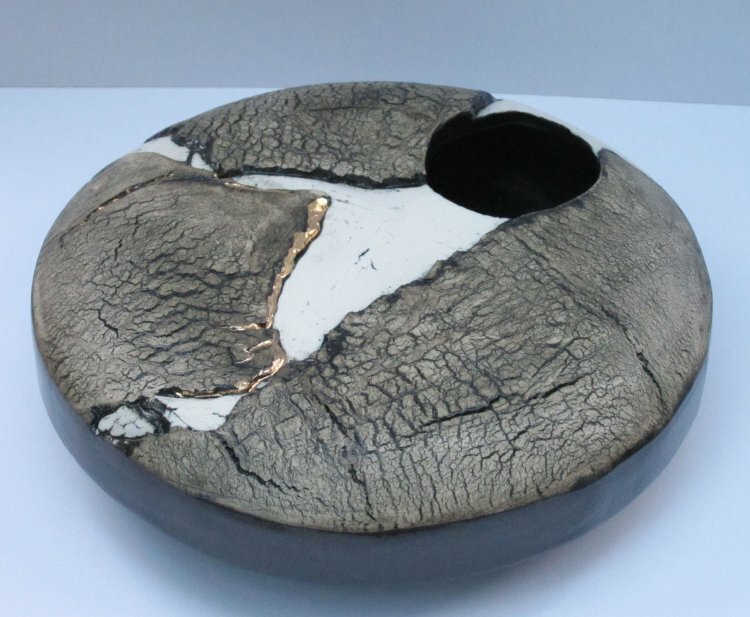 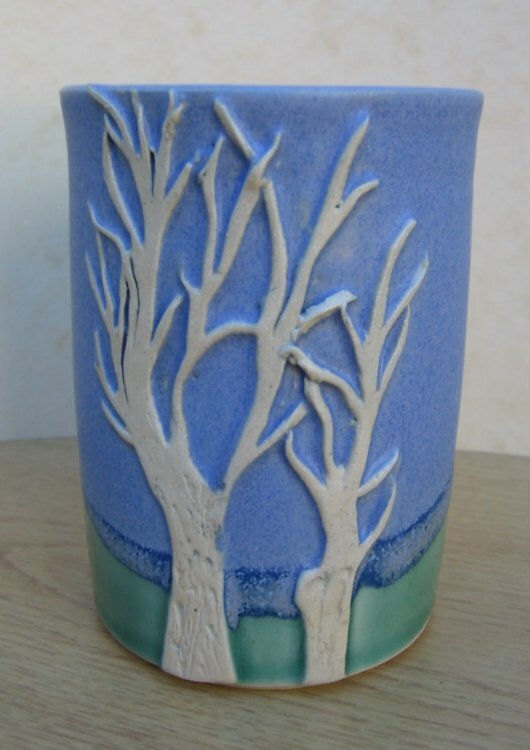 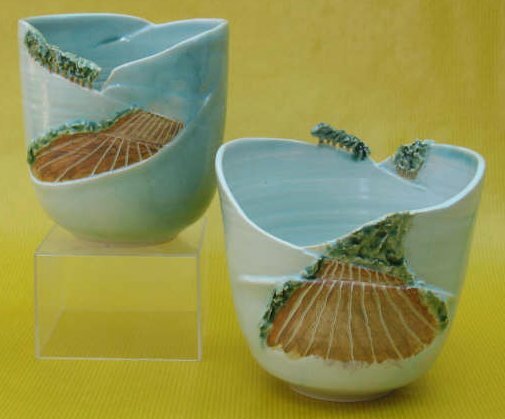 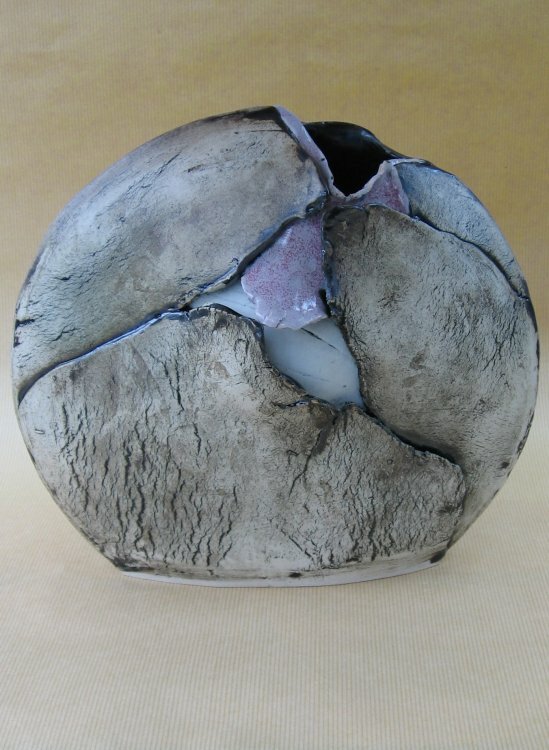 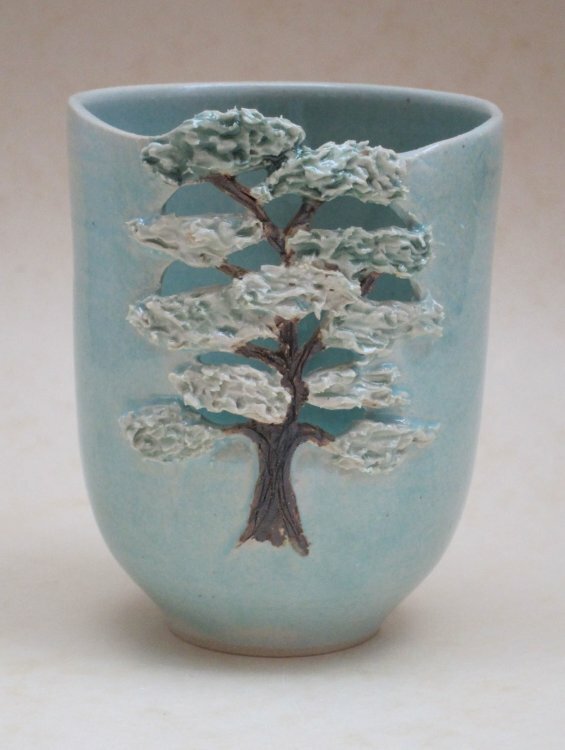 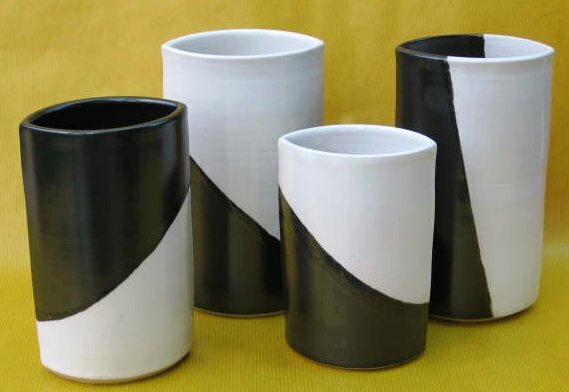 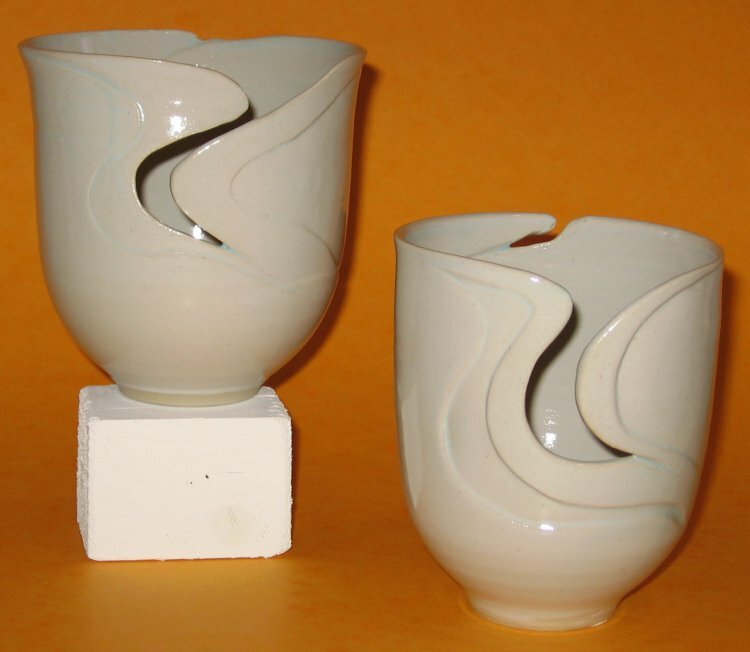 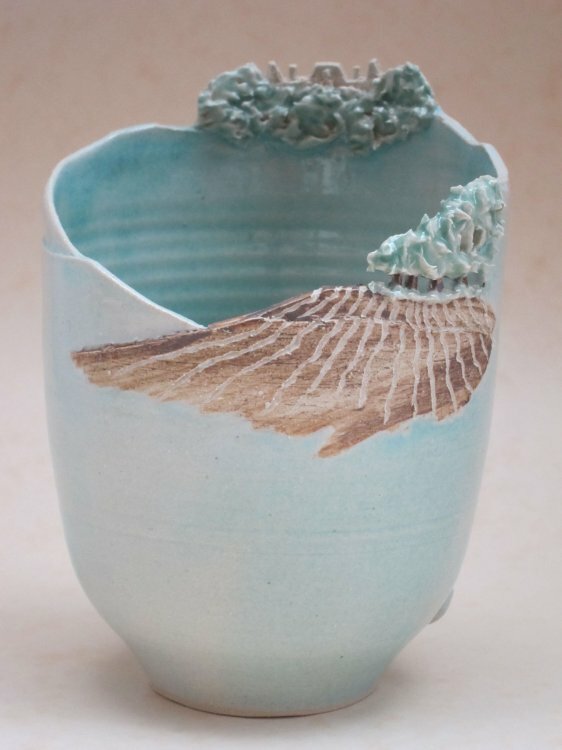 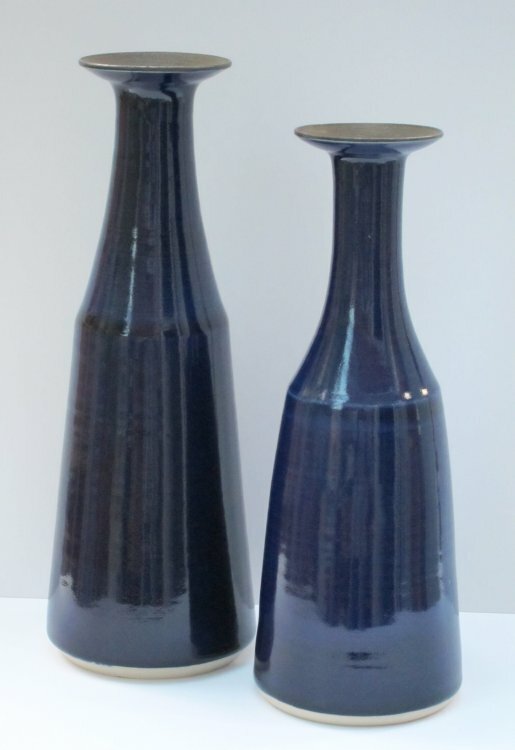 The reulting vessels are my 'take' on the artform as influenced by the Art of Japan. 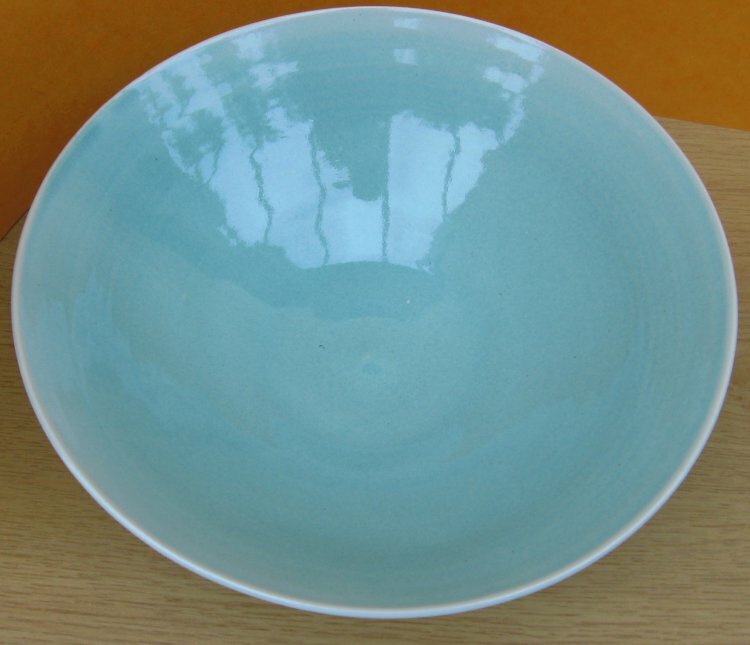 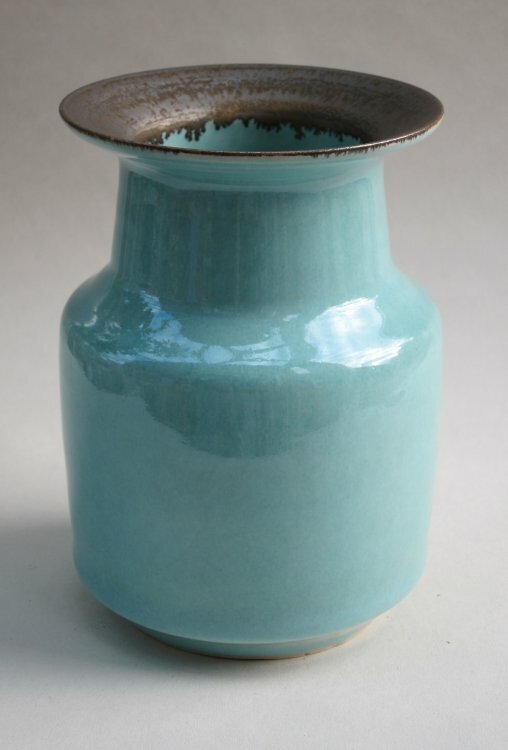 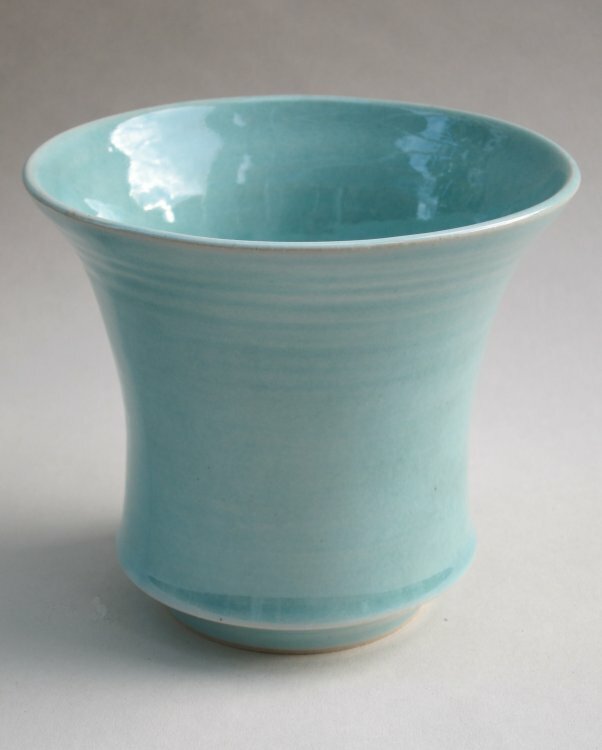 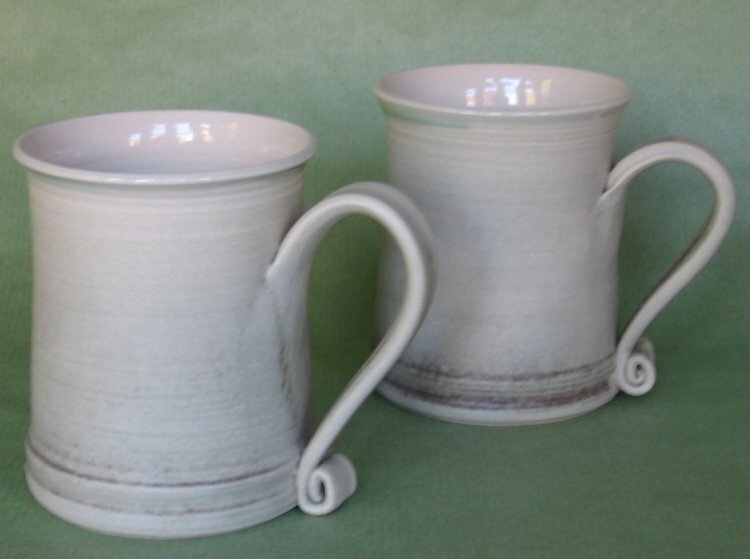 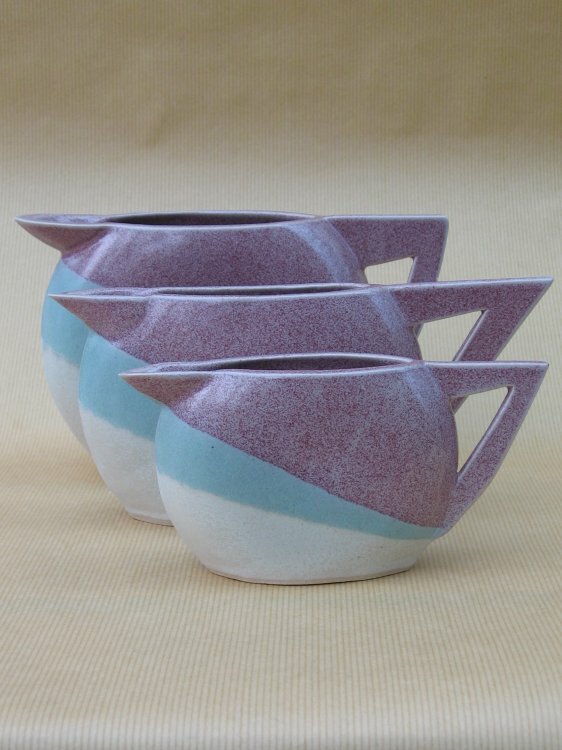 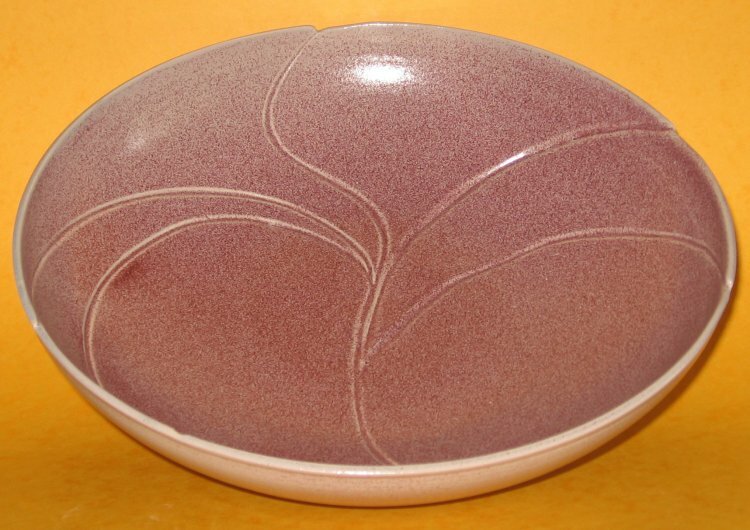 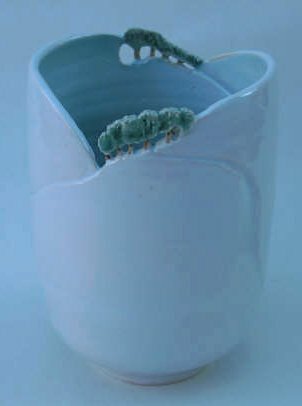 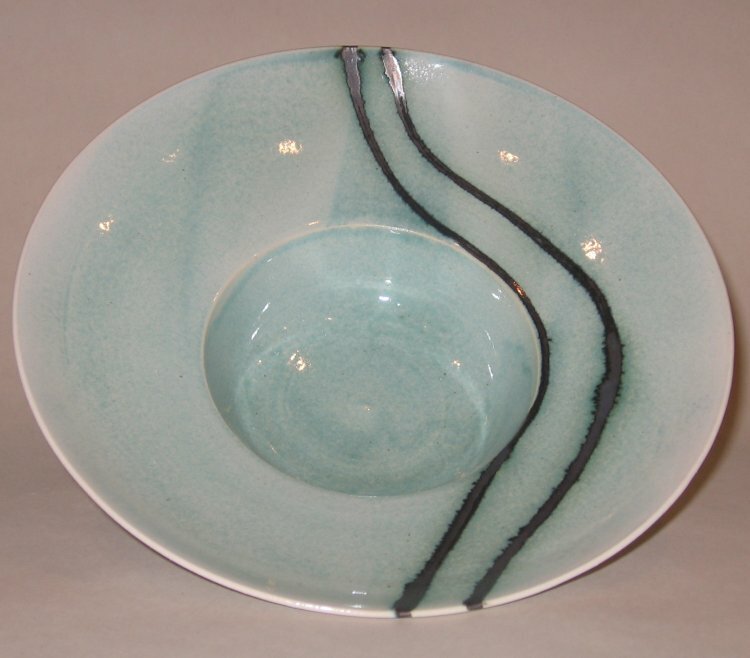 Also new are the small Celadon pots and bowls on this page, with our glossy jade glaze. 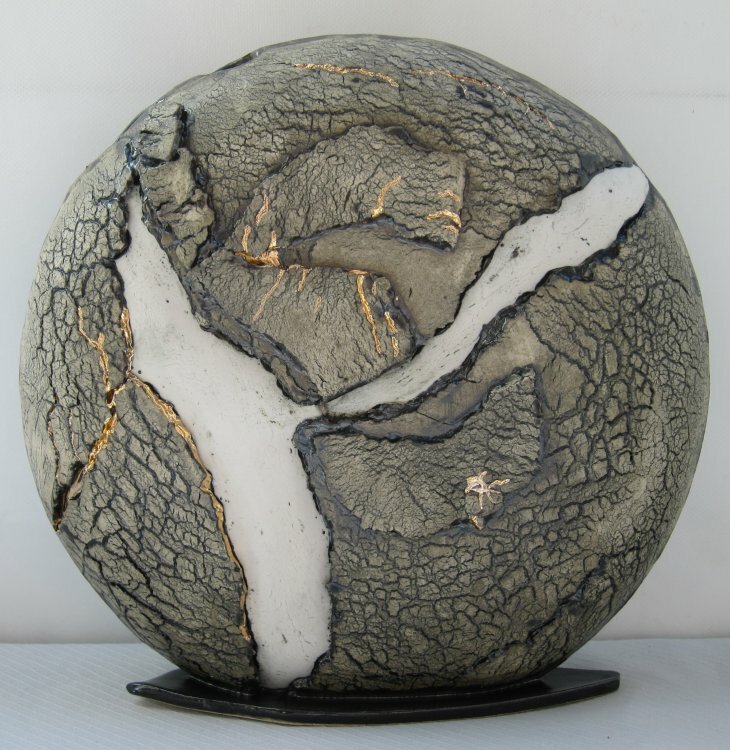 Our Earhscape pieces are made to commission. 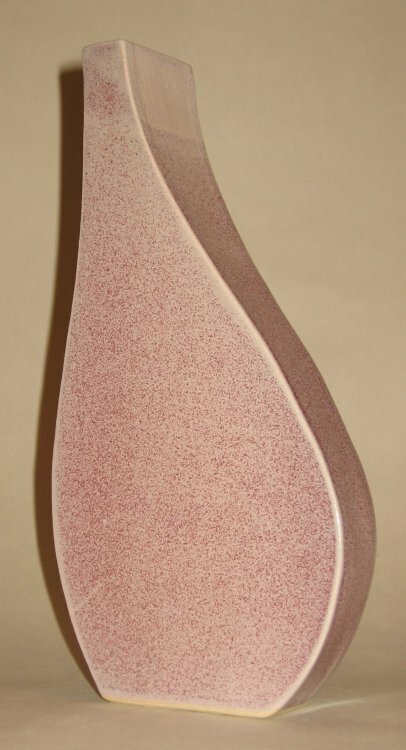 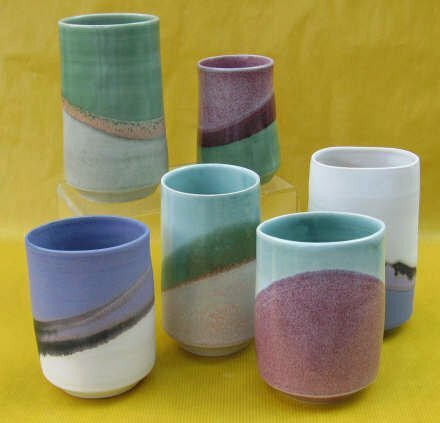 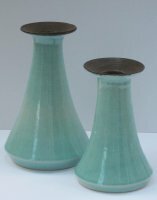 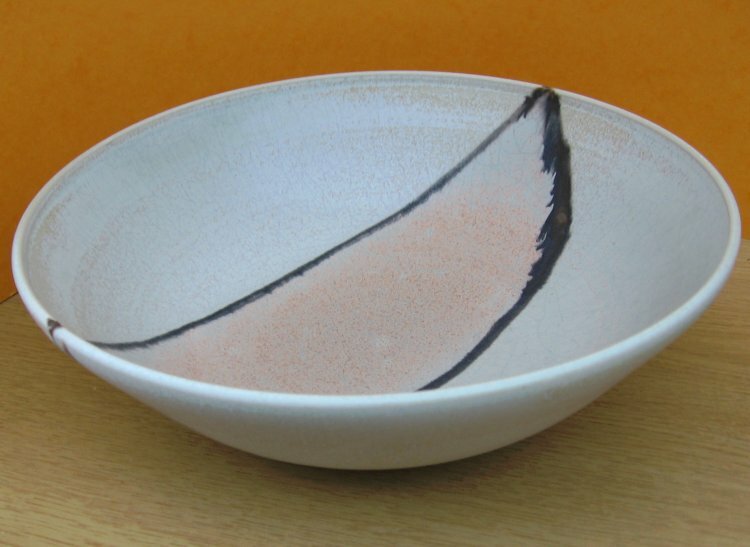 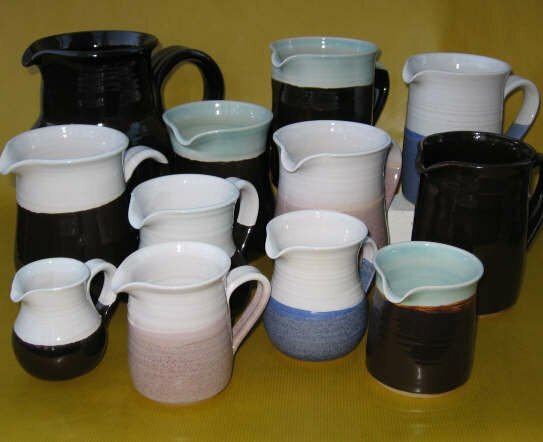 We can't guarantee to achieve specific colours due to the glazing and firing processes, which ensures each piece is totally unique! 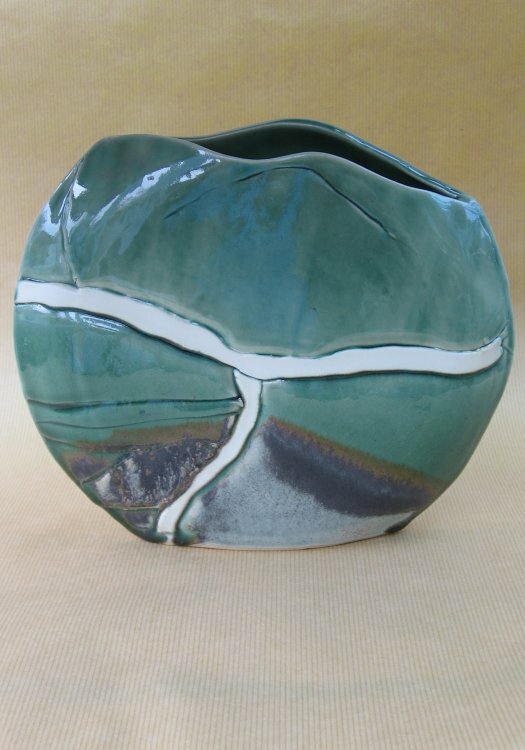 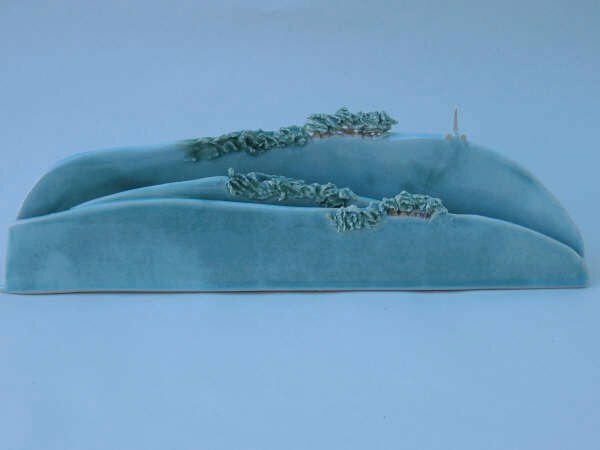 We began experimenting with landscapes when invited to produce some pieces with a 'Chilterns' theme for an exhibition. 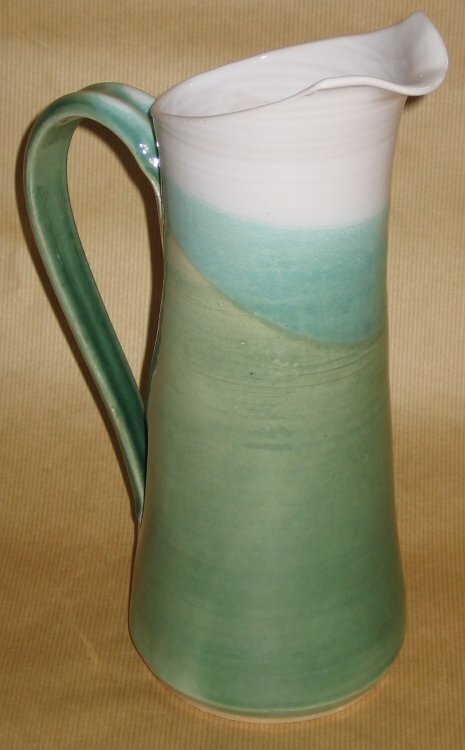 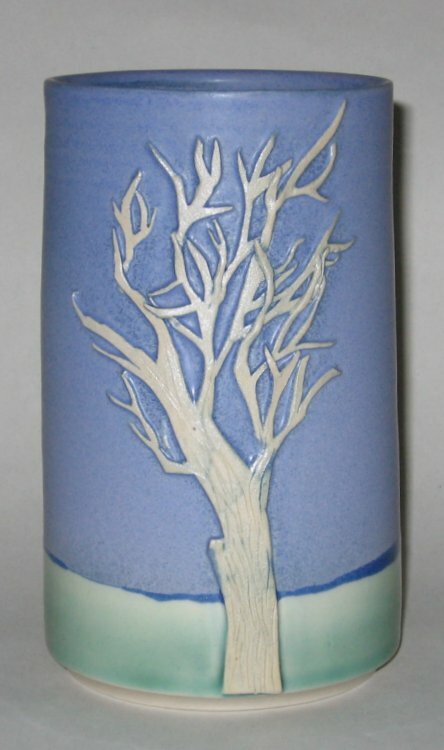 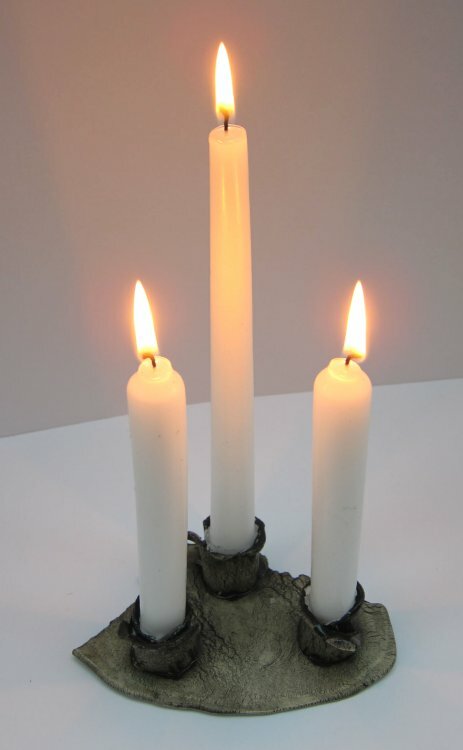 Since then, we've applied the concept to vases, bowls, wall hangings and all manner of other pieces. 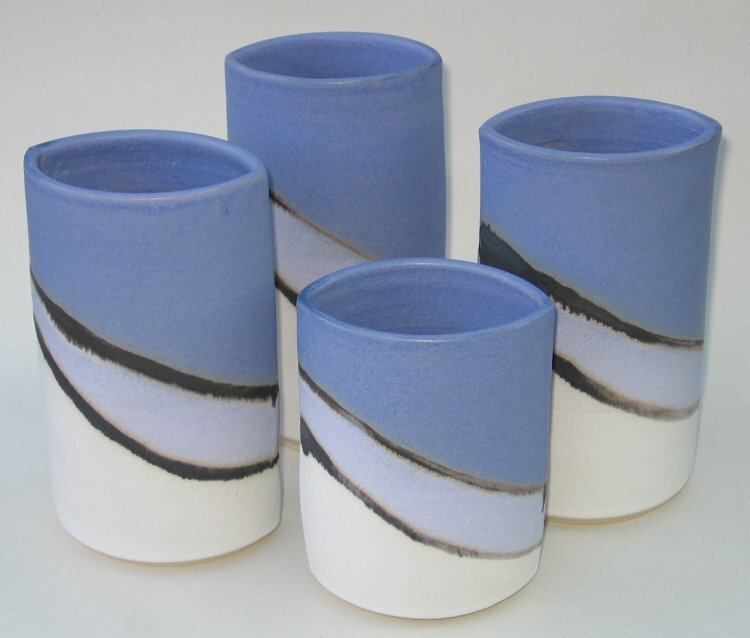 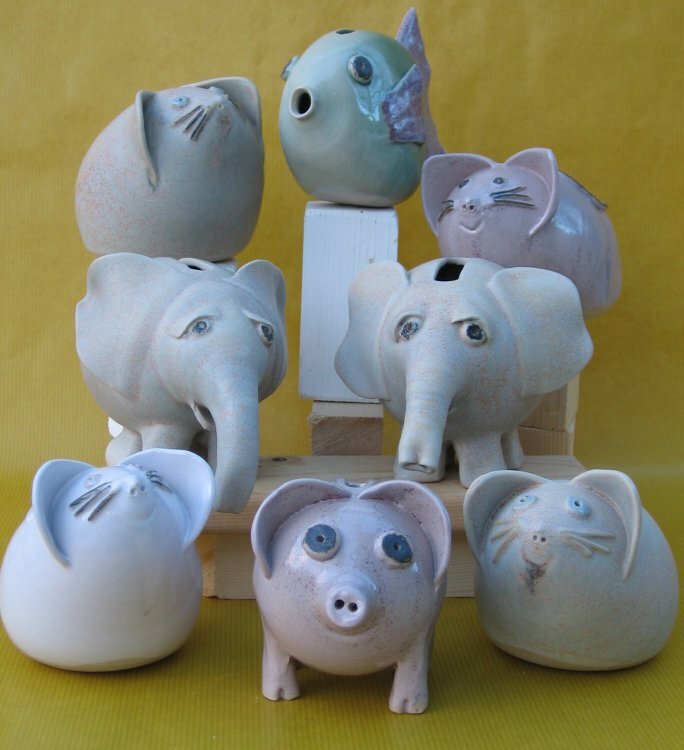 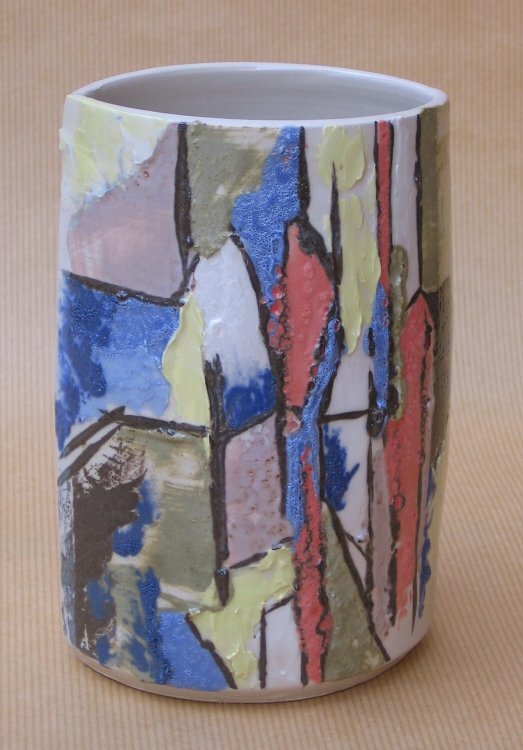 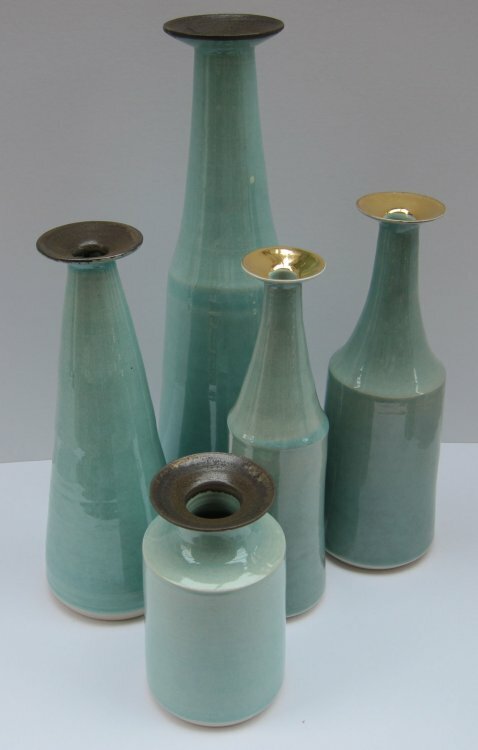 The pieces are built up in a number of stages with coloured glazes applied selectively - quite a time-consuming process! 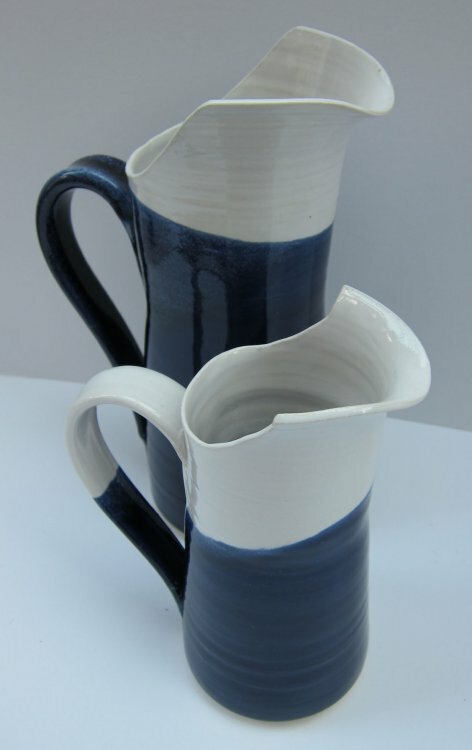 New - practical and stylish! 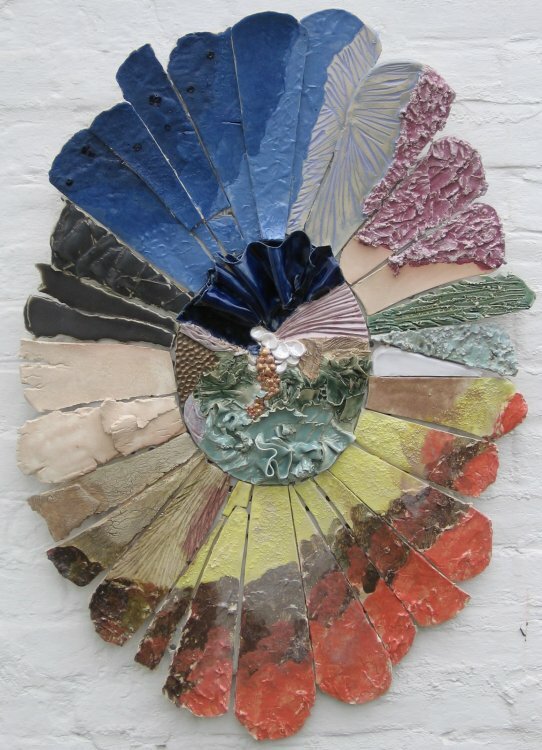 Each piece will have distinctive colours - the exact nature of which cannot be entirely controlled!